Osa Conservation Hatchery – Costa Rica – Imagine a three-quarter-mile hike through the lush greenery of the Costa Rican rainforest. When you arrive at your destination, the green opens to mesmerizing blue – sea and sky as far as the eye can see. You’ve arrived at the Osa Conservation Hatchery on the Osa Peninsula. The hatchery finds sea turtle eggs and moves them to their conservation land in an effort to protect this fragile species from predation and disruptive human contact. The Osa Conservation Reserve is located in Costa Rica, along the coasts of the Pacific Ocean and the Caribbean Sea. While the peninsula is a rugged region, there has been more and more conservation efforts to preserve the species that call it home. It’s a primitive region of pristine rainforest, unnamed streets, and capuchin monkeys outnumber the local indigenous populations. 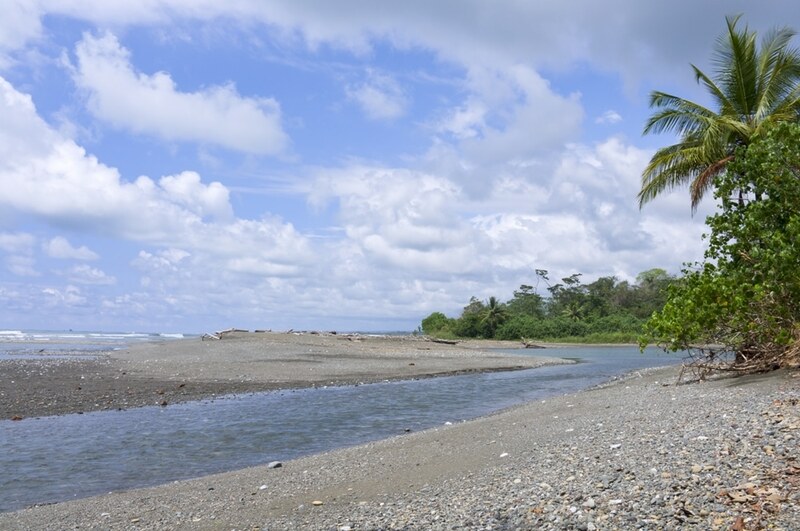 To get to the Osa Peninsula, you’ll take a plane from San Jose, Costa Rica to Puerto Jimenez. It takes about 45 minutes to reach the conservation area. If you’d rather drive, you can rent a car and commence the six- to eight-hour trip over land. Either way, you’ll see sights you’ll remember for a lifetime. There is also a bus that transports visitors to the conservation area. It costs $13.00 and departs twice per day, at 8:00 am and noon from the Blanco Lobo Station. If you visit at the right time of year, you can take part in the annual bringing the babies to the sea event. Not an actual event, per se, but if you speak to the conservationists prior, they are happy to allow a few people to accompany them on the trek. It involves carrying bins of hatchling baby turtles back to the area where the mother turtle first laid their eggs, which is indicated by a stake left in the sand. You, along with the conservation volunteers, will carefully lift babies from the bin and place them in the sand a short distance from the water. You’ll get to watch as they take in this new environment, and have a memory of helping an endangered species continue on. It’s calculated that only about one in every thousand new baby turtles will actually make it in the wild from the sand to the water without falling victim to predation or disruptive human interaction.